You’re well aware GarageCabinets.com isn’t the only game in town for garage storage solutions. But we’re quite different from the big box store and all the other online retailers out there. Just off the top of my head, I can think of 5 reasons we are the best garage organization system! Reason 1 - You're Buying Direct From The Manufacturer of Work Space Storage Cabinets! ​When you shop GarageCabinets.com you’re buying directly from the manufacturer. We DON'T import cabinets and we DON'T inventory any parts. Your Work Space garage cabinets are produced just in time at our production facilities in South Beloit, IL right here in the U.S.
Plus, we’ve cut out the middleman to keep those extra hands out of the pot (aka your wallet). Reason 2 - You Get Your Garage Cabinets Sooner! Even though we are making all the cabinets as they are ordered, we don’t make you wait two weeks before anything is even ready to ship. Our just in time manufacturing process allows us to make the cabinets and have them ready to ship in 3-5 business days. In another 4-5 business days, we can have them shipped directly to you anywhere in the continental U.S.
Total time from placing your order to arrival...just 7-10 business days! Reason 3 - You Have More Options To Choose From! Those who have had the misfortune of trying to use any of the ‘one size fits all’ solutions readily available out there (yeah, I’ve been there) can definitely appreciate this. We know every garage is different and individual storage needs also vary. Then there’s taste…No accounting for that, they say. But there are more than 40 cabinet sizes, styles, and color combinations in our Work Space line. So, no matter the garage, storage need, or taste, we have are the best garage organization system solution to fit it. Most online retailers would either have huge lead times waiting for some slow boat or need a huge warehouse to offer all the different cabinet options we have available. Reason 4 - You Get A Quality Product! All of the storage solutions available on GarageCabinets.com are crafted using high-quality materials and parts. For the Work Space cabinets, we use a durable ¾” commercial grade thermofused melamine to make the cabinet box. The door and drawer fronts are made of a high-grade medium density fiberboard (MDF) and given a powder coat finish. The powder finish is a seamless, smooth coating that seals and protect the MDF; making it impervious to spills, dings, dents, scratches, and more. So when installed, your doors and drawers will close like the doors on a luxury vehicle rather than a tin can being crushed. Then, we use a high-quality chrome hardware to put the cabinets together. That ensures the parts that will be working the hardest will last a long time. Reason 5 - You Have Assurance Your Garage Cabinets Will Stand Up Under Pressure! 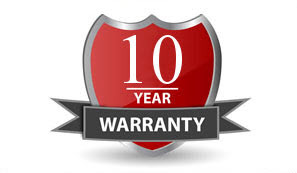 In fact, we offer a 10-year Manufacturer’s Warranty on our cabinets, plus a lifetime warranty on the hardware! You’re lucky to get 30 days from the big box store and good luck proving to an online retailer something went wrong as a result of their shoddy product mistake. Bonus Reason 6 - You Get Good Old Fashioned Customer Service! I wanted you to know, you shouldn't let our name fool you! We’re just a small, family owned business; still grounded on the principle of putting you (the customer) first! We don’t just toss you to the wolves in hopes you’ll figure out the best solution on your own. A highly dedicated project manager is available to provide you with personalized service and expert advice when you need it no matter what stage of the project you’re in. When you’re ready to develop a plan for organizing your garage, you can work with our project manager to create a design that fits your taste, storage needs, and space during an Online Design consult. Got questions? Please don’t hesitate to give us a call (888.356.6935)! We’re happy to assist you with the best garage organization system, no matter what stage of the project you are in!